I recently won THE coolest thing that came in the mail this week: a naturopathic first aid kit! 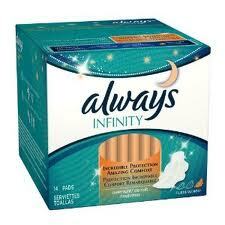 I had done a review for Always Infinity awhile back for one of the forums I belong to and they sent me a full sized product! Unbeknownst to me, I actually won a giveaway over at my good friend Lu's blog, Crocheted Little Things! 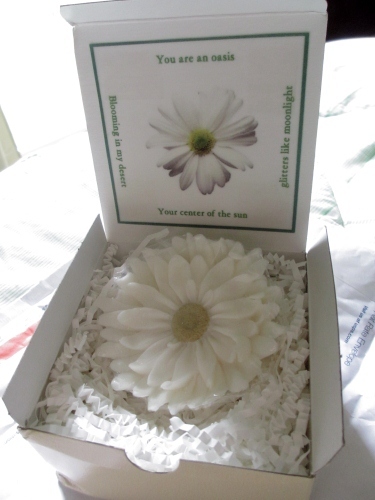 My beautiful handcrafted soap arrived from Ginger's Garden and boy, it is gorgeous. You can tell a lot of hard work goes into her soaps! 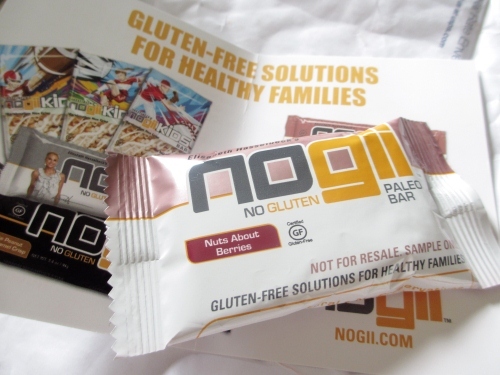 Last but not least, a free sample of Elizabeth Hassleback's Nogii bar to finish off this Mailbox Monday! I'm so happy you like the soap! 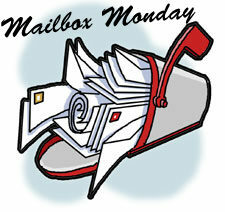 Irena will be so pleased to see it posted on your blog! Way ta go girlfriend love the flower thingy. Is that a bar of soap you said? Too cute! You go girl! That soap is really awesome, it's beautiful and looks like it'll be great! That's a very pretty soap.